Call Boat Owner Scott 229-444-4243. The ideal gift for the new graduate. 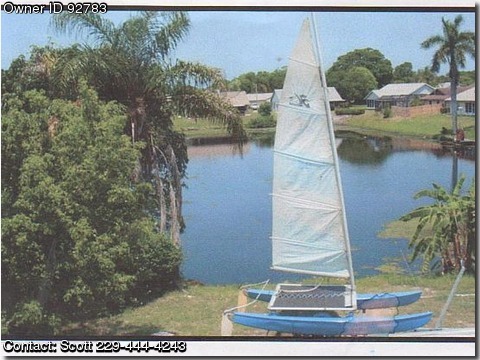 Hobie cat is the perfect boat for the starting sailor. Its the most fun I have ever had on a sailboat. Everything you need is included and is in good condition, including the custom trailer to pull it. All it needs is a new owner and lots of water.